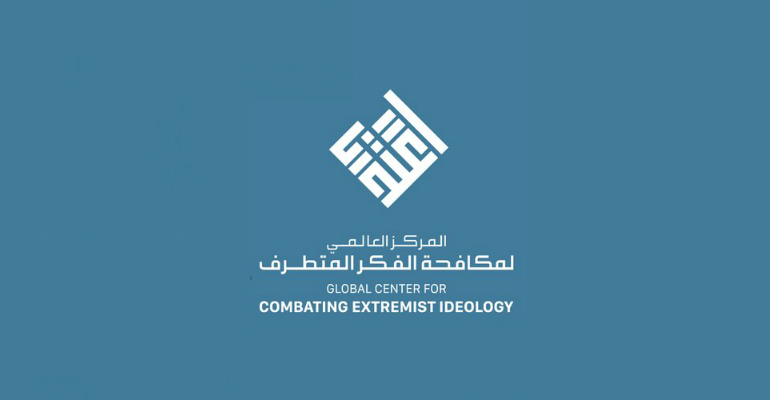 Global Center for Combating Extremist Ideology (Etidal) to spread and promote peace, confront and refute extremism to make a safer world”. This was the first tweet of the Global Center for Combating Extremist Ideology (Etidal or “moderation”) that was inaugurated at the end of the US-Islamic summit in Riyadh. The Etidal Center is the result of the joint cooperation and the great efforts exerted by Arab and Muslim countries led by Saudi Arabia in combating terrorism and extremist ideology. Military action alone is not enough to eliminate terrorist organizations according to the conclusions of the Global Terrorism Index (GTI). For example, between 1968 and 2006, only seven percent of terrorist organizations were eliminated through military action. Therefore, the Center has a single basic objective: to demolish the pillars of the false narratives on which terrorist organizations are based, refute them and destroy them altogether. Thus, their ideological and religious foundations from which they draw the ability to recruit youngsters will be lost. The real image of such organizations will be uncovered as being extremist, bloodthirsty mercenaries and militia that only use religious slogans for their own interests or for the interests of those countries that support them. Knowing that youngsters spend most of their time on the Internet, terrorist organizations, forefronted by Daesh (the self-proclaimed IS), have embraced social media as a tool through which to recruit youngsters. “Hidden Power of Daesh (ISIS) in the New Media” is a study conducted by a research team at King Saud University. It shows that 80 percent of Daesh information stock comes from websites which are freely available to all with no breach of any Internet protocols. Another study, prepared by the Watani Al-Emarat Foundation, in cooperation with Telecommunication Regulatory Authority, Al-Ameen Service, and Dubai Electronic Security Center (DESC), shows that Daesh uses social media for most of its recruitment. It also reveals that on Facebook and Twitter, Daesh has over 90,000 pages in Arabic and 40,000 in other languages. Therefore, in order to combat extremism, the Etidal Center has three pivot fronts: intellectual, media, and digital. Hence, the essence of Etidal comes from having numerous prominent international experts and specialists in the field of combating extremist media discourse. At the same time, it enjoys high-level technology in combating extremist activities through conventional media and electronic space. The Center has developed innovative, high-speed, world-class software capable of monitoring, analyzing and categorizing any content of extremism at an unprecedented degree of accuracy in only six seconds from the data available on the Internet. Dr. Naseri Al-Buqmi, Secretary-General of Etidal, said, “I think it is a quantum leap in combating activities in the digital space.” According to Dr. Al-Buqmi, work is in progress to develop advanced analytical models for locating digital media platforms that contain extremist ideology and are secret sources of recruitment activities. He adds that, as well as its activities in combating extremist ideology, Etidal also works on preventing it through professional media content that promotes tolerance, moderation and acceptance of others. This work is conducted under the supervision of the Higher Committee of Thought, which includes a group of prominent Muslim thinkers and scholars from around the world, in cooperation with governments and organizations. Finally, Saudi Arabia will remain an important focal point for all Muslims, the origin of Islam, the cradle of the Muhammadi message, and the foundation of moderation. Through this intercontinental center, it will become the world’s foremost reference in combating extremist ideology and the promotion of a culture of moderation.